Robert Irving says Lesmahagow League Cup campaign has been "a disaster"
Lesmahagow Juniors manager Robert Irving has branded his side’s Sectional League Cup campaign as “a disaster”. Irving’s side are bottom of Section 1 with just a solitary point from three matches, gained in a 1-1 home draw against local rivals Lanark United on Saturday. The Craighead Park gaffer said: “Our league cup games have been a disaster. “I’m talking about defending as a team. We don’t do it, it is basic stuff. Last Saturday’s contest between the bottom two sides in Section 1 saw Lesmahagow take the lead in the second half when Steven Clark scored after a goalmouth scramble. Lanark manager John Brogan – who was to resign the next day ahead of taking over as Wishaw’s new boss – later bemoaned the fact that the scorer had looked “yards offside”. But Lanark responded well to going a goal behind and netted the equaliser when Conor Johnston sidefooted the ball into the corner with a composed finish. “A draw was a fair result,” Brogan added. Lanark’s league cup campaign has ended with the club fourth in the group with two points from their four matches. They also lost 3-0 at Royal Albert last Wednesday. Lesmahagow are bottom ahead of their final group game at Albert tonight (Wednesday). “I will play some young boys in the team because it is a nothing game,” Robert said. “But it’s not me being disrespectful to Royal Albert. Striker Lewis McDougall – a summer signing from Carluke Rovers – will miss Lesmahagow’s home Central Division 1 opener against Port Glasgow this Saturday through injury. 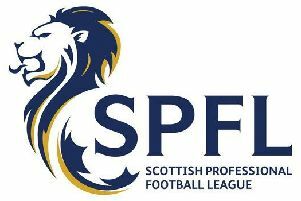 Other fixtures are: Forth v Greenock (Div 1), Newmains v Carluke, Vale of Clyde v Lanark (Both Div 2). The matches will kick-off at 2pm.